Publishers Weekly said that "readers will be hooked" by Rachel Carter's plot-twisting So Close to You series. The conspiracy theories, romance, and compelling "what if?" 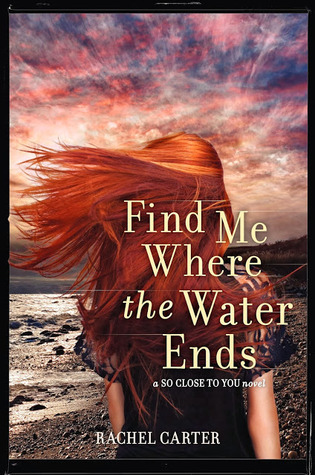 questions build to a satisfying series end, making Find Me Where the Water Ends the perfect fit for the teen fans of light science fiction like The Time Traveler's Wife. Why I'm waiting: I LOVE the first two books in the series and after the cliffhanger at the end of the last one I kind of need this book NOW! Plus THE COVER! Gorgeous! OOh nice That's new to me! Hope you love it once you read it!